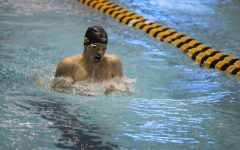 Iowa’s new faces have impressed people lately, and the Hawkeyes look for more of the same against their first ranked opponent of the season. 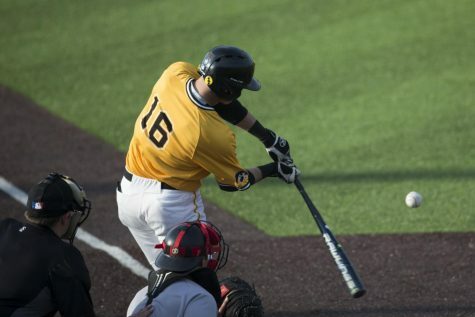 Now two weeks into the season, Iowa baseball is starting to see who can really help the team. 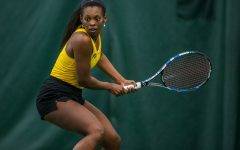 The unknown new faces on the team have been making plays to help lead the Hawkeyes to a 4-3 record. When Iowa takes on No. 19 Oklahoma State in a three-game series in Stillwater starting today, it will need more of that production around the diamond. 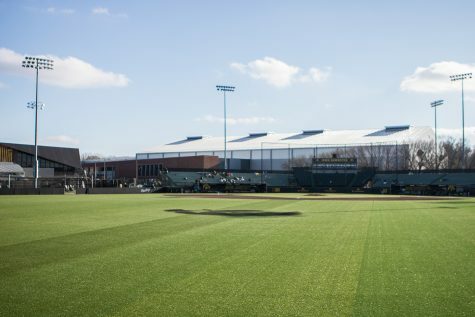 Despite being just one game above .500, the Hawkeyes have a clubhouse that can’t be found in every program, thanks to quickly developing relationships. 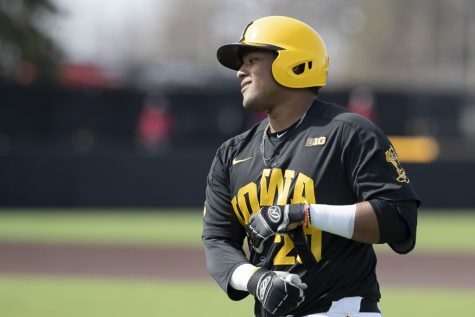 As together as last year’s Hawkeye squad was — it picked up numerous series wins against some of the best Big Ten programs en route to an appearance in the conference tournament — some think this year’s team might be even better in terms of chemistry. 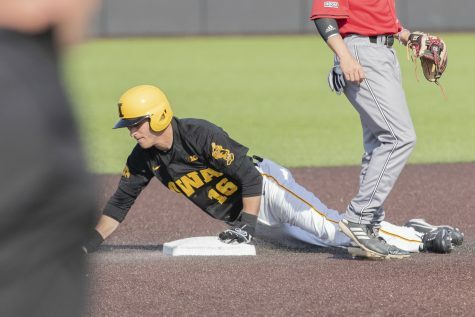 The skill can be impressive, but if Iowa is going to make a run in the postseason, second baseman Mitchell Boe thinks the relationships formed will play a role. While the new faces have had success in developing team chemistry, the same can be said of their on-field performance. 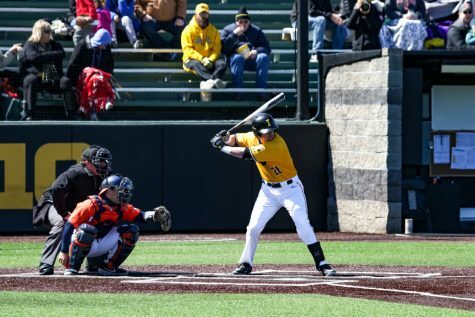 Three of the Hawkeyes’ top four producers at the plate this season are new. 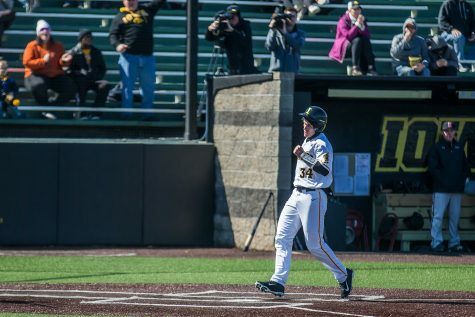 Tanner Padgett leads Iowa with a .407 batting average, Zeb Adreon ranks third at .353, and Austin Martin sits at fourth (.333). 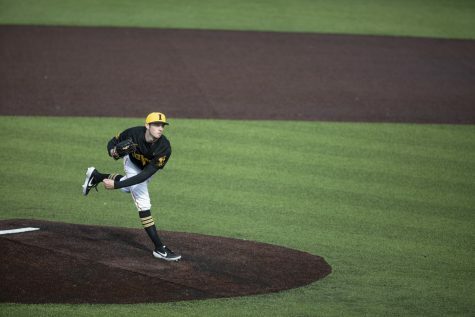 On the mound, Iowa has found a bright spot in junior-college transfer Trace Hoffman. 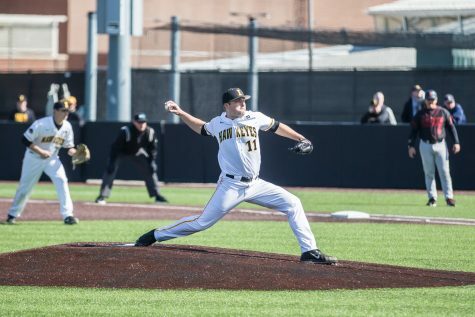 In the Hawkeyes’ 10-8 win over Hawaii on Feb. 23, Hoffman retired the first 10 batters he faced over 3.2 scoreless innings for his first career victory. In six innings this season, Hoffman has surrendered 3 hits and 2 runs, striking out 5. The Cowboys are the first ranked team on Iowa’s schedule this season. They enter the weekend with a 5-2 record, with their two losses coming at the hands of Texas-Rio Grande Valley and Wright State. Both teams have the potential to explode offensively. 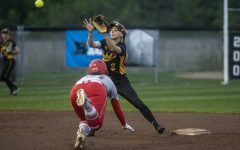 Iowa leads the Big Ten with a .395 on-base percentage and ranks fifth with a .261 batting average. Oklahoma State hits .312 and has five players batting over .400. 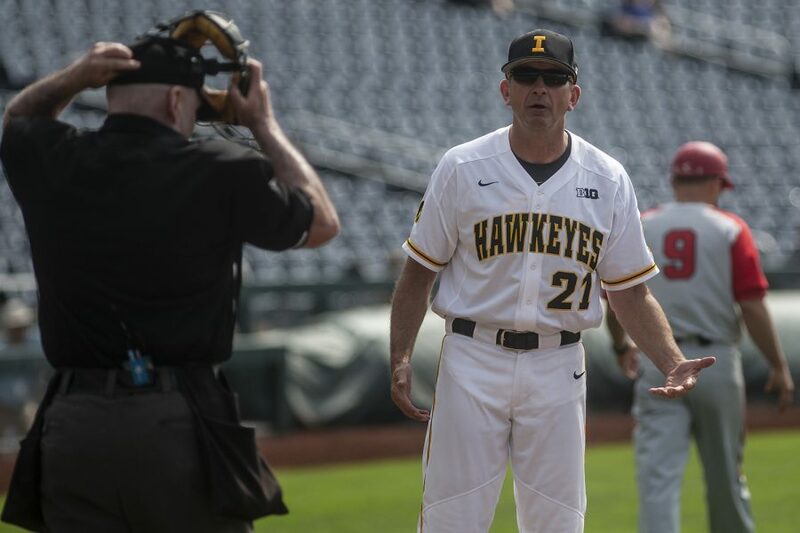 In terms of pitching, Iowa is in a different situation from the previous two weeks. 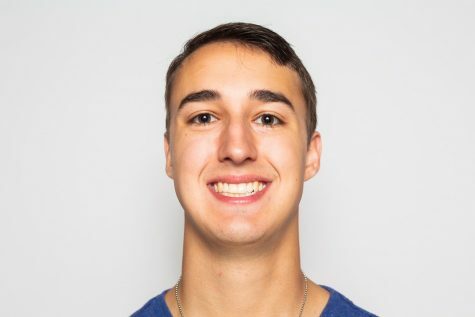 Cam Baumann will start in place of Jack Dreyer today — Dreyer is out with an injury. Iowa also needs a bounce-back performance from Cole McDonald today, who owns a 0-2 record with a 10.57 ERA. 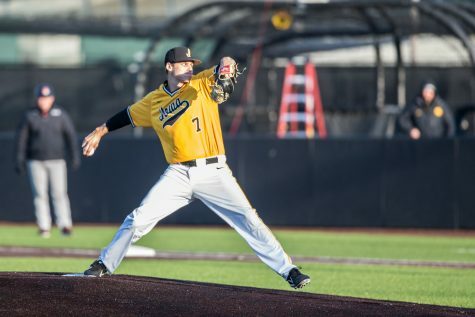 Grant Judkins, who has been Iowa’s most consistent hurler, is 1-0 with a 0.82 ERA; he will pitch on Saturday. 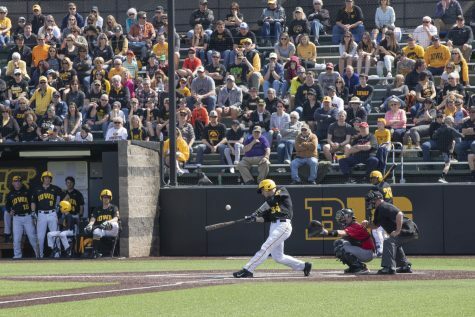 Iowa will kick off the series in a doubleheader today due to inclement weather in the forecast, then play the finale on Saturday.